Acme Thunderer - Medium - #559 Whistle. $5.99. "This whistle is loud and doesn't take that much wind to blow." This whistle is loud and doesn't take that much wind to blow. "These whistles are the best out there. All the trainers that I know use them." These whistles are the best out there. All the trainers that I know use them. You will want to buy two. One for the glovebox, just incase you lose one. Happy hunting. "Takes me back to days of coaching. Crisp sound, good carry." Takes me back to days of coaching. Crisp sound, good carry. Love it please send me two more!!! Works great. Wasn't sure whether to get the small or medium size. I got medium and it is just right. Great whistle. Lower tone than my Roy Gonia whistle. This is exactly what I was looking for. 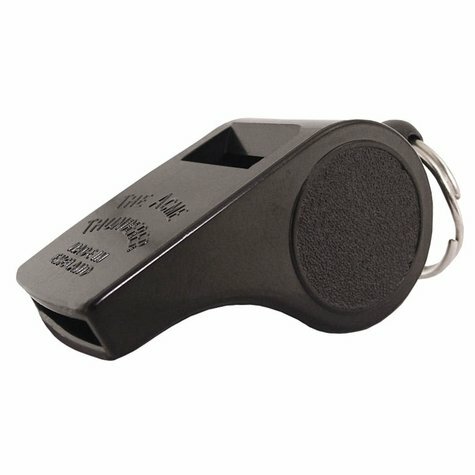 Great whistle, but probably too loud for training pups. Will work great in the field, but my pup is 13 weeks so one a little quieter would have been more appropriate. That's my bad, though, not the whistles. Will definitely work great in the field; loud, and various blasts (single, double, and trill) are distinct. "Great whistle. Nice and loud." Great whistle. Nice and loud. "Loud, clear and durable. Good purchase." Loud, clear and durable. Good purchase. Great product. Easy to blow, perfect sound and pitch. Never knew there was such a big difference in whistles. I will never buy any whistle but Acme. I use this whistle to officiate wrestling. "Great product and delivery was fast :)"
Pointers,shorthairs,Viszla,lab,rat terrior. Hunts. Family pet. Competes. "This is more of a referee sounding whistle." This is more of a referee sounding whistle. Maybe would work better for competition dogs. "this whistle does what it's supposed to do and gets plenty loud"
Its a mouthfull...literally. Thought my old one that this whistle replaces was a medium, but I guess it was a small. My bad, but this whistle does what it's supposed to do and gets plenty loud. I prefer the small thunderer. I like the tone better.